The Bohemian Garnet Museum is a unique exhibition of outstanding jewellery and objects decorated exclusively with Bohemian garnets. 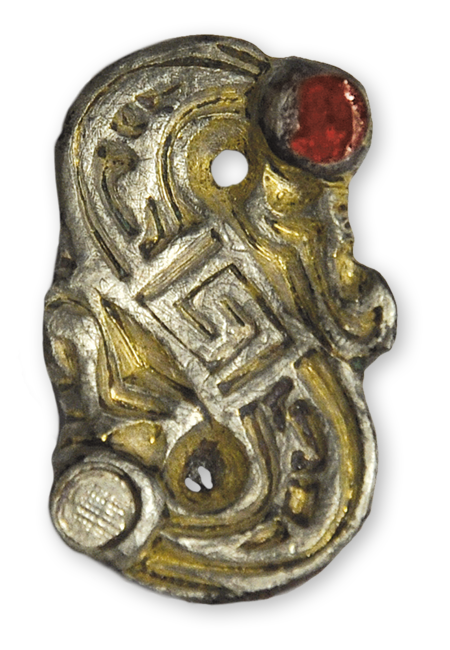 The collection offers a comprehensive overview of jewellery from the early days when Bohemian garnet began to be used in jewellery production until the early twentieth century. The Bohemian Garnet Museum also presents the history of garnet mining in the Czech lands. You will learn about the mining sites and mining technology of Bohemian garnets, as well as about methods of their cutting and further processing. You can see, for example, an old cut from the mid-18th century. Furthermore, you will learn about the energy and healing powers of Bohemian garnets. Visitors to the Bohemian Garnet Museum can buy original period jewellery decorated with Bohemian garnets, including a certificate of origin and authenticity. As a keepsake, you can also choose some of many original souvenirs. The Bohemian Garnet Museum is worth visiting for anybody interested in history, jewellery and crafts, and also offers an interesting experience to visitors from the general public, including tourists coming to Prague. Garnets are undoubtedly among the oldest known minerals and precious stones, used in ancient times for decorative and ritual purposes. Mention of them can be found in Peri Lithon, a work by the Greek philosopher Theophrastus of Ephesus (372–287 BC). Garnets are also mentioned by the famous Roman polymath Pliny the Elder (23–79 AD) in his 37-volume encyclopaedia Naturalis Historia, where he referred to them as “carbunculus” (he probably meant almandines). They were known in ancient Greece and Rome, Carthage and other civilized countries of North Africa. 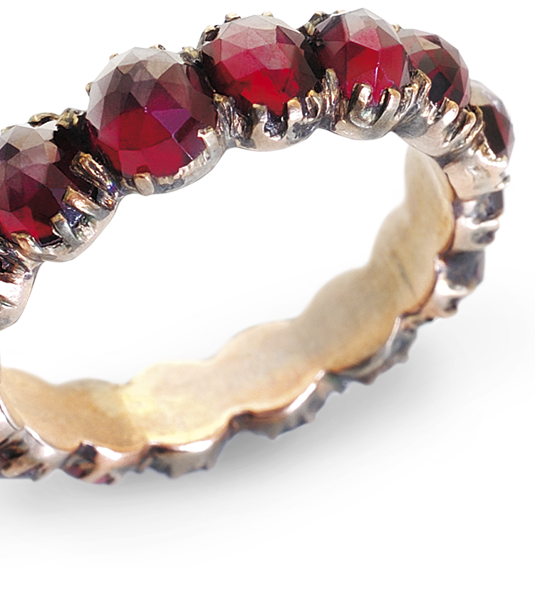 The designation “garnet” is probably derived from the Latin word “grannum”, i.e. grain. 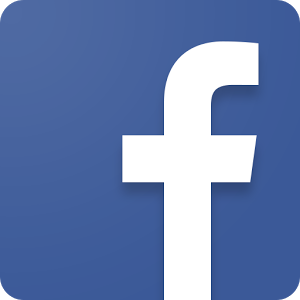 The name comes from the 13th century, when it was used for the first time by the German theologian and philosopher Albertus Magnus (1193–1280). Another theory says that the name originated from the Latin phrase “malum granatum”, i.e. pomegranate (according to the most frequent garnet colour). Garnets in Bohemia are also mentioned by Georgius Agricola (real name Jiří Bauer), a naturalist and doctor from Jáchymov, in his De Natura Fossilium Libri X (1494–1555). 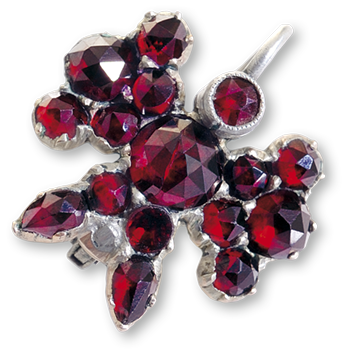 The history of Bohemian garnet is basically as old as the history of garnet in general, with the difference that Bohemian garnet was called carbuncle. Anselmus Boëtius de Boodt, Rudolf II’s personal doctor, describes the work of gem prospectors and cutters in his work Gemmarum et Lapidum Historia (1609), dealing also with the healing powers of Bohemian garnets. In the opinion of some people, Bohemian garnets don’t reach the size of those from the Orient, but their advantage is their beautiful red colour. They perfectly resist fire, and when found they are flawless. Boëtius also accurately identifies their sites in the Central Bohemian Uplands and in the Jizera Meadow. The first “mining” of Bohemian garnets in the Central Bohemian Uplands was their manual collection from the topsoil, which is poor in garnets, ideally after rain, when garnet grains are very easily visible. According to several authors, another primitive method of mining was preserved in some places in this area, virtually unchanged, until the early 20th century – extraction of garnets from pyrope-bearing layers (in the Central Bohemian Uplands called “křehoť” or “křemeť”, i.e. a garnet-bearing layer) using shallow dug-out trenches and shafts. Nowadays, numerous amateur prospectors look for garnets in fields. A more efficient method of garnet mining involved the complete removal of overburden (topsoil and subsoil) in a particular area and subsequent direct mining in pyrope-bearing layers to a depth of not more than 7 metres. After the mining was finished, the sorted gravel (without Bohemian garnets) was returned to the mined area and finally covered with topsoil. A more sophisticated method of mining was the use of shafts and coves. Garnet prospectors did not want to waste their time removing overburden (sometimes 7 metres thick) from the entire surface over the mined area, so they began to dig shafts wide enough to lower a bucket. On the surface, the bucket was connected to a manual winch operated by two people. After the shaft had penetrated the overburden or the upper layers poor in garnets, reaching the pyrope-bearing layers (called “křehoť” or “křemeť”, i.e. a garnet-bearing layer), miners began to dig stopes in all directions from the shaft. This method of mining was not very safe, as evidenced by the numerous fatal accidents that were recorded. The last method of how Bohemian garnets were and still are mined in the Central Bohemian Uplands is quarry mining. Its arrival also finally ended individual unorganized mining. Mining of the deposit after the removal of the overburden consisting of topsoil and subsoil is operated in one mine section using tracked excavators and loaders. The mined material is transported to the Podsedice finishing plant, where the garnet concentrate is obtained using rotary screens and jigs, and this concentrate is subsequently handpicked and sorted in the Granát cooperative, i.e. directly at the Trutnov plant. At the beginning of the 17th century, crude Bohemian garnets were supplied to the market in Prague, where they were subsequently cut and drilled. A cutting shop known as the Imperial Mill was established at the initiative of Emperor Rudolf II in Bubeneč, Prague, at the end of the Royal Park, and it employed three famous generations of the Miseroni family from Italy. In addition to Bohemian garnet cutting, it mainly produced vessels carved from crystal, cairngorm, agate, jasper, etc. Cutting shops were also established in the New Town of Prague. It was as early as 1598 that the emperor granted the first gemcutters the privilege to export Bohemian garnets abroad (except large pieces). At the same time, a cutting shop was also founded in Brandýs. During the reign of Rudolf II, the next wave of prospectors, mainly from Venice, came to Bohemia, settling in Mašov near Turnov. In Bohemia, probably in Turnov, only large garnets were cut. It wasn’t until the reign of Empress Maria Theresa that the exclusive right to cut and drill Bohemian garnets was transferred back to Bohemia. This right was acquired by Count Filip Kolowrat-Krakowsky, the highest burgrave in Bohemia. At the end of the 18th century, garnets were also cut at the estate of Count Lobkowicz in Jistebnice near Tábor and at the estate of Count Hatzfeld in Podsedice in the Central Bohemian Uplands (founded in 1770). The Podsedice cutting shop was later acquired by Count Schönborn and operated until the 1870s. Independent gemcutters continued to work in the Central Bohemian Uplands (in Podsedice, Třebívlice and probably also elsewhere). Bohemian garnet cutting was moved from the Central Bohemian Uplands back to Turnov, where gemcutters had worked probably since the 17th century and where gemcutting has been preserved to this day, unlike other places. In the mid-19th century, an impressive number (viewed from today’s perspective) of about 2,000 gemcutters were employed in Turnov. At approximately the time when the Podsedice cutting shop was founded, cutting shops were also established at the Lobkowitz estate in Obřice and Netluky, as well as in Vlastislav and Bilín. A huge interest in the field led to the establishment of the Vocational School for Gemstone Processing on 3 September 1883 (later the State Vocational School of Jewellery in Turnov, now the Secondary School of Applied Arts), with the actual teaching commencing on 8 November 1884.